It is “a shared philosophy of quality” that unites the twelve families of Accademia del Barolo, Matteo Sardagna of Poderi Luigi Einaudi tells us as we begin to taste a selection of Barolo from the 2012 vintage. 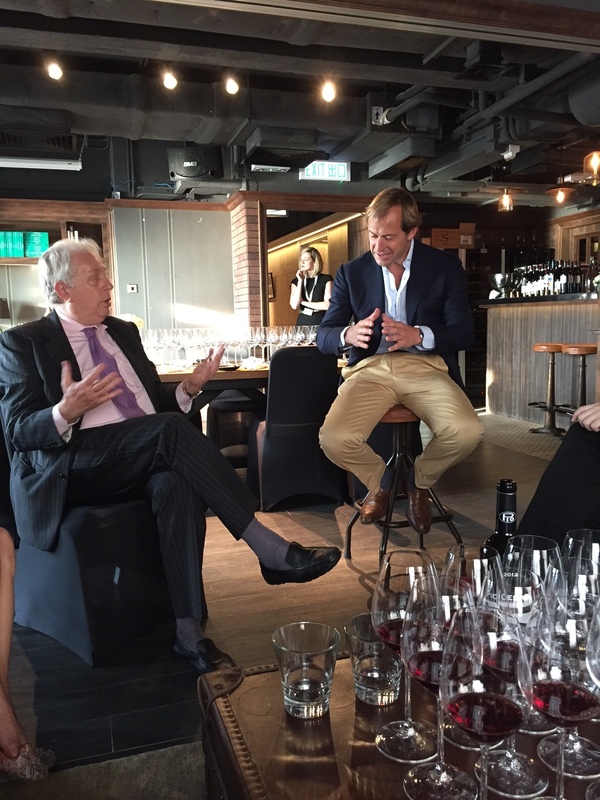 Yesterday a small group of press and media were invited to a tasting led by Gianni Gagliardo and Matteo Sardagna, as a prelude to the Great Barolo Dinner held later that night. As Gianni Gagliardo describes it, 2012 was a challenging vintage that started with nail biting snow in February and rain in spring before turning a corner. The hot and dry summer was peppered with a good amount of rain before harvest, eliciting wines of freshness and elegance – the interplay between acidity and ripe tannins being just right. What was evident in this tasting was the sheer variety of styles available from this small area of production. Given the vintage was a constant with each wine, the terroir, microclimate and hand of the winemaker came together to provide an impressive range of very personal expressions of this ever so regal grape. Matteo Sardagna described Barolo as a “wine that needs explanation” and it is this that forms the underlying motivation for Accademia del Barolo. The goal of promoting and developing the understanding of the Barolo and its brand is achieved through a calendar of events and the different educational materials produced by the group. One of the more well known events is the Barolo Auction which, established in 1998, is currently on hiatus as the group focusses on events that provide a personal experience with brand Barolo. Indeed, the tasting yesterday allowed for a more intimate portrait of the journey these wines had made en route to our glasses. In addition to these types of events Accademia del Barolo also work closely with the University of Turin, undertaking extensive and in-depth research of the Cru of Barolo. With 2012 described as a vintage just perfect for introducing those not familiar with Barolo to the depths of beauty it offers, I couldn’t agree more. A bottle or two in any cellar would be an addition that wouldn’t disappoint!